Going Crazy for Tapas at Tapeo - TA TA, CHEERS! Most of the restaurants I’ve been to in Barcelona have been recommendations from friends who have lived in the city forever. Most of these restaurants are nowhere near new, and they perhaps do not even have 10 reviews on TripAdvisor or Google. But, Victor’s mom took a leap of faith and looked into a tapas place in the neighbourhood of El Born. The place had fantastic reviews and was right across from a traditional bar, El Xampanyet. 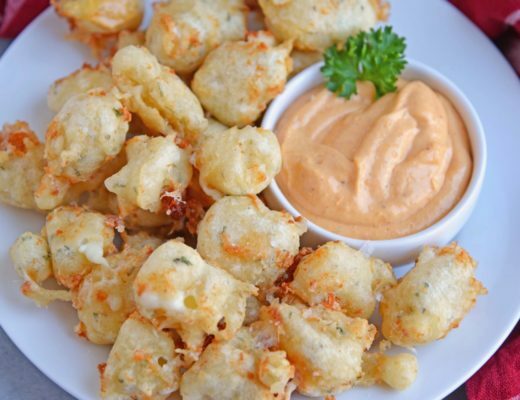 Even though we took a chance, we were blown away by the quality of the ingredients found at Tapeo, a tapas restaurant. Part of their menu is dedicated to locally sourced ingredients. Most of the options were vegetables. 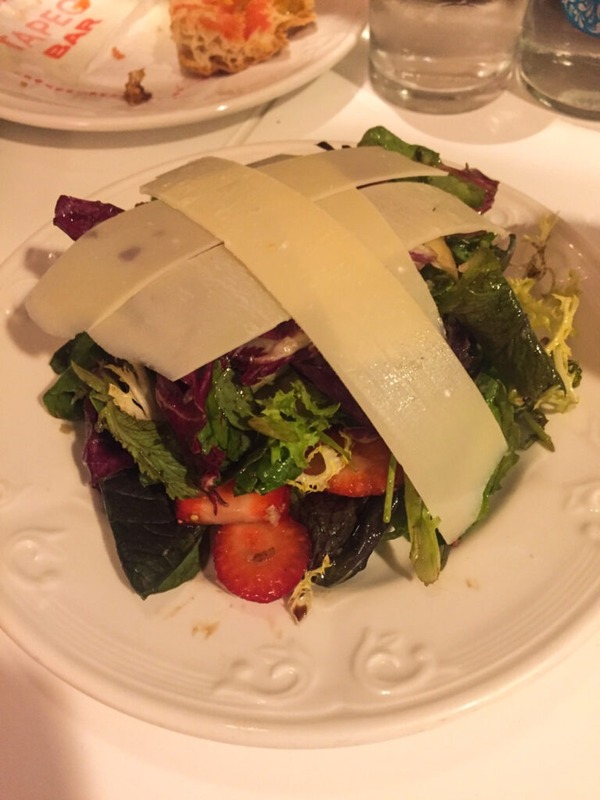 We chose the sprout salad with parmesan and fruit. While simple, the combination of the bitter sprouts and the sweet strawberries came together with the layers of parmesan cheese. The next section on the menu is dedicated to classics from Tapeo. 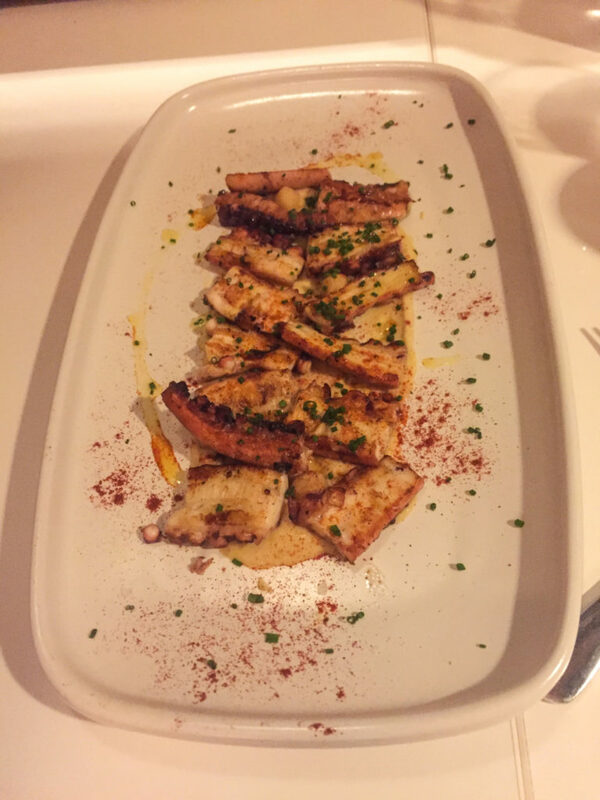 We had the grilled octopus with chickpeas, which was a surprisingly great combination. 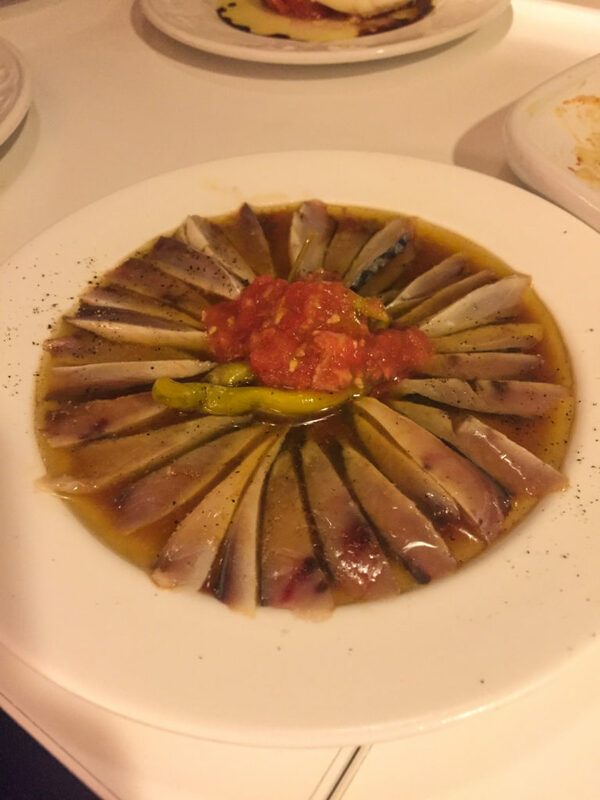 We also had the fresh marinated mackerel, reminiscent of the sardines and anchovies tradition in Spain and Portugal. To finish off this section, we had the tomato with bufala burrata. 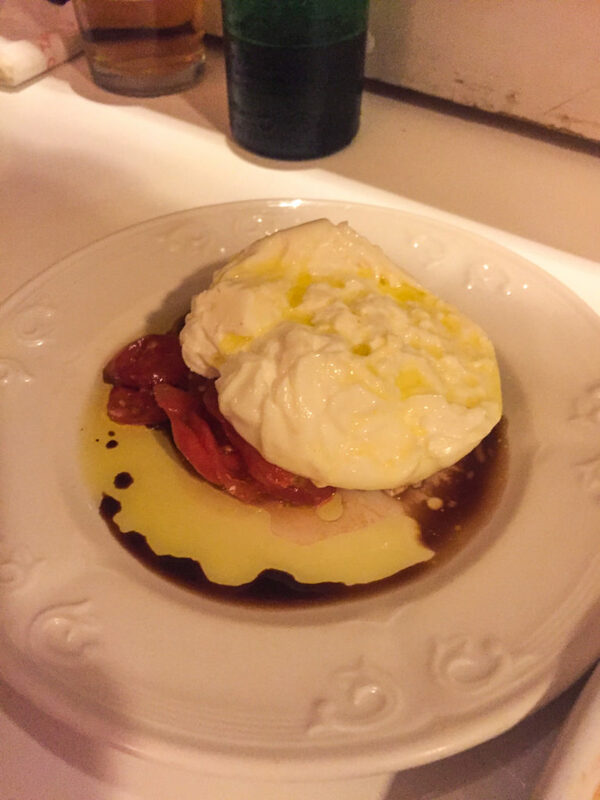 Interestingly enough, the burrata is the only international dish on the menu. It is delicious! 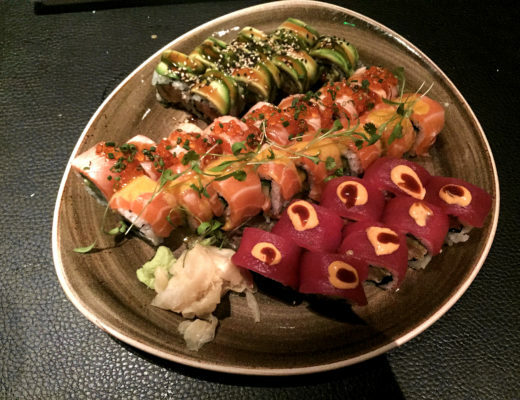 Of course Tapeo does not only serve Spanish tapas. They also serve Catalan dishes. One such dish is fideuà. fideuà is similar to paella in that is also from Valencia and is cooked in a similar fashion, however it is made with pasta instead of rice. Tapeo offers two types of fideuà, but we chose the black version served with cuttlefish. The ‘black’ part just means that there is squid ink. 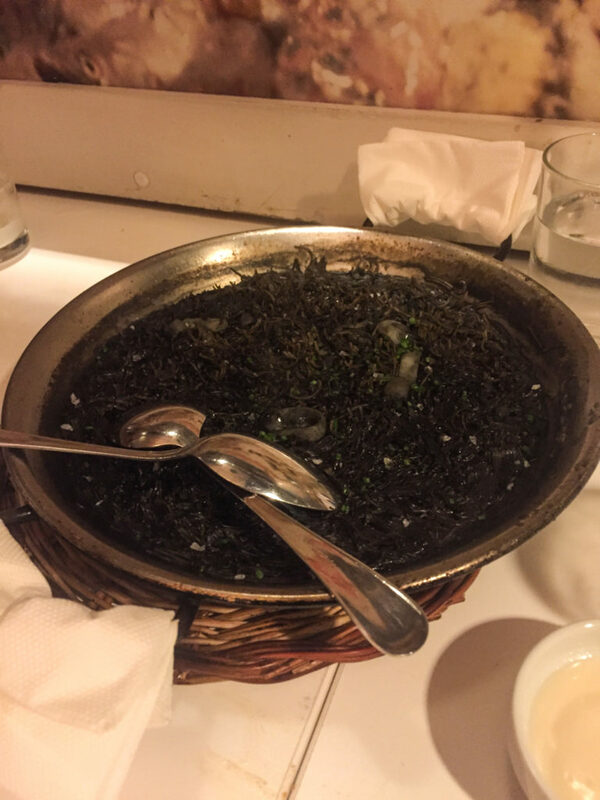 This is also added to rice making arròs negre, a kind of black paella. To add to our amazing meal we also ordered the stuffed squid with vegetables. 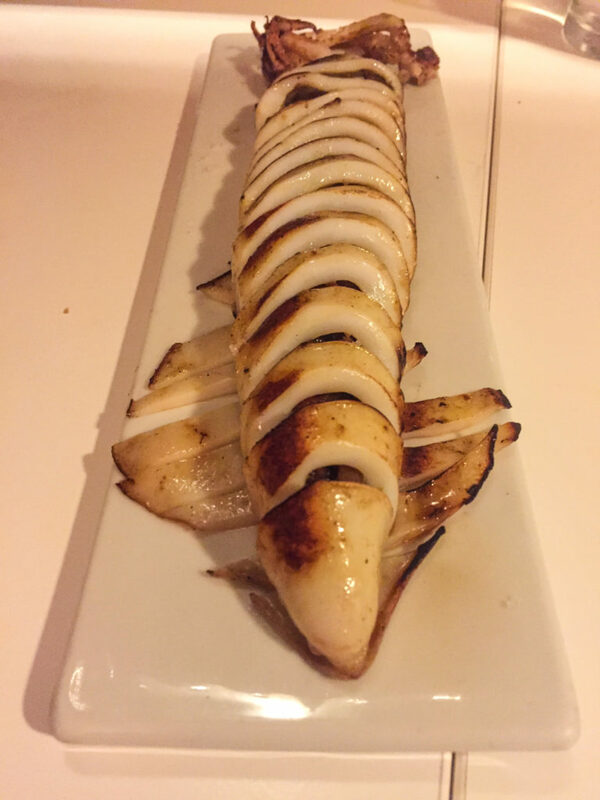 Cooked to perfection, the squid paired perfectly with the sweet roasted vegetables inside. I couldn’t leave without some dessert. I had the ‘Catalan cream foam’, which is crema catalana with a more foamy texture. 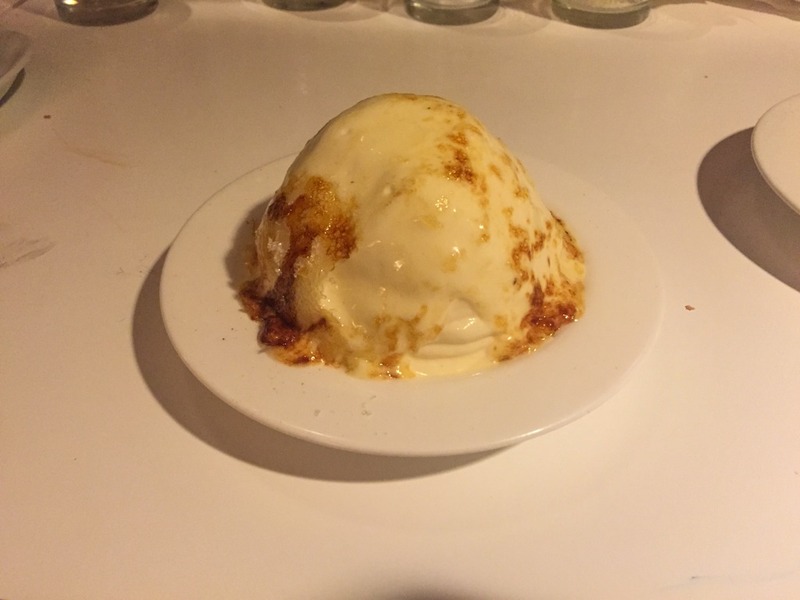 Crema catalana is Catalunya’s answer to crème brûlée, but it is not as sweet or as heavy. 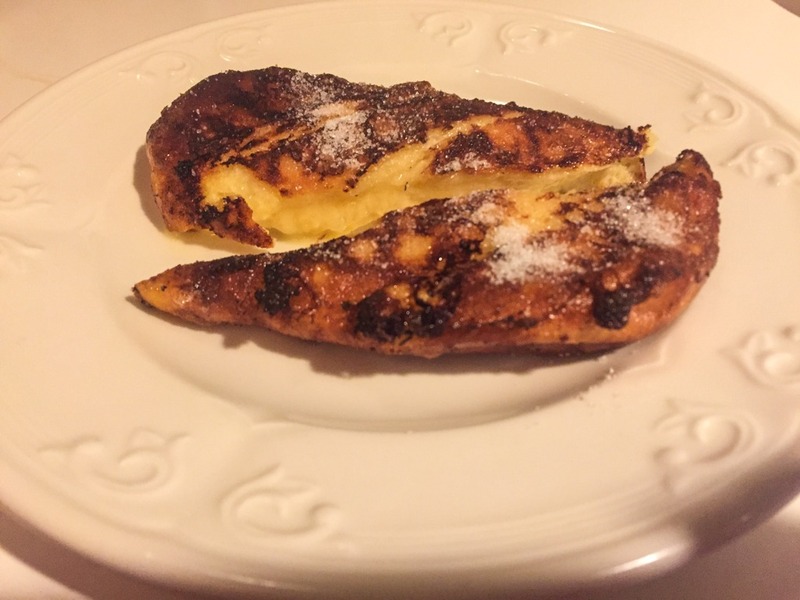 Victor’s Dad got the torrijas (bread butter pudding) which is kind of like a Spanish version of French toast. It is fluffy, eggy, sweet, and luxurious. In fact, both desserts were kind of perfect. So there you go! This is proof that it’s okay to try something totally new in a very familiar landscape. 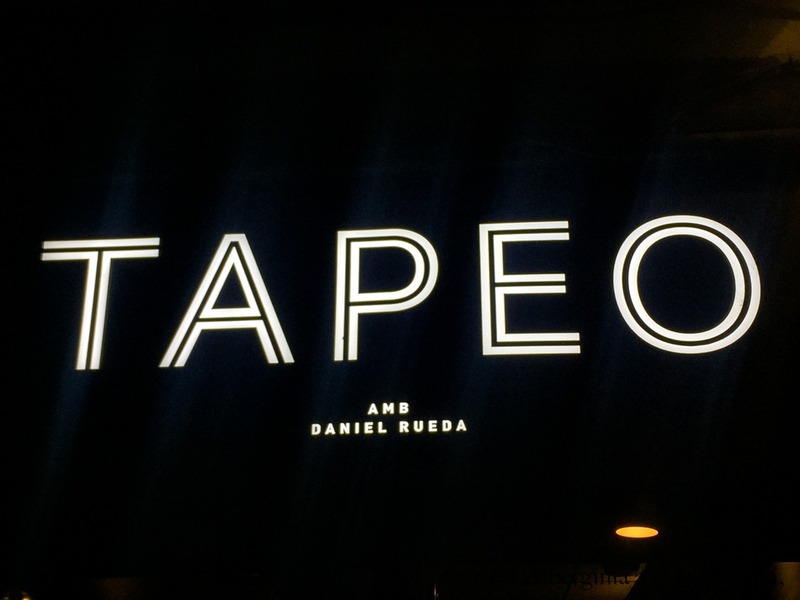 We really enjoyed the fun atmosphere at Tapeo and I definitely recommend it to first-time and even second-time visitors. 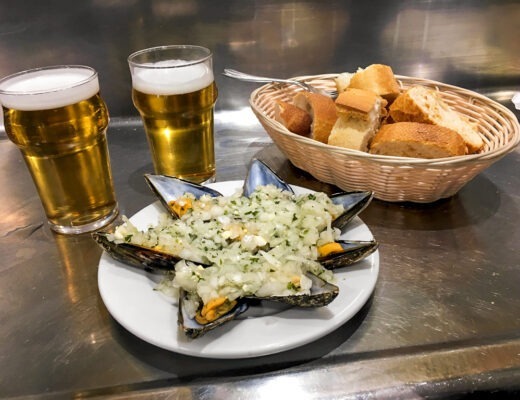 If you want more Barcelona food recommendations, check out my other cuisine posts!